Read what clients have to say about their experience with these and other services! Treat yourself to 1 hour of any therapy we offer. Mind Body Integration and Postural Tune-up sessions will be adjusted for time. 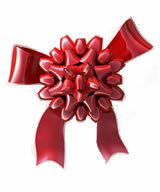 NEW CLIENTS ONLY- Existing clients may purchase as a gift for friends and family who have not experienced our services. This relaxing 1 hour massage session is designed to pamper from head to toe. A full-body treatment utilizing gentle pressure to promote tranquility, erase muscle tension, reduce stress, stimulate blood circulation, quiet the mind and rejuvenate the soul. This 1 hour therapy session focuses on releasing fascial adhesions that restrict movement, cause pain and can lead to postural distortions. Not for the faint of heart, this session integrates Myofascial Release, Trigger Point Therapy, Myoskeletal Alignment and variety of other techniques to address the causes of reduced range of motion, muscle aches and postural compensation.